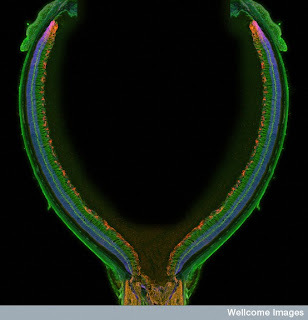 A confocal micro-graph of retina of one year old mouse, taken to study the fine neurological connections within the eye. The above image won a special award. 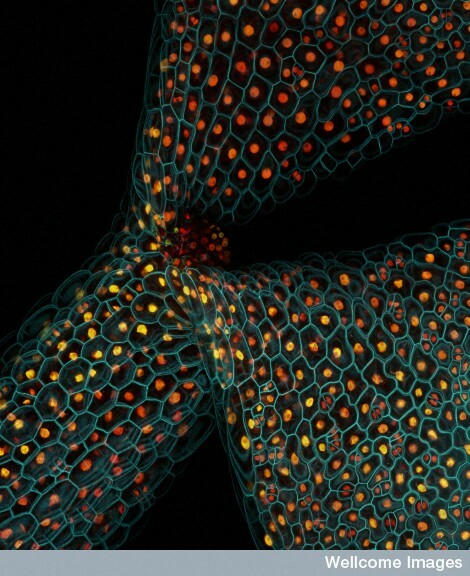 It is actually a confocal micrograph showing the expression of different fluorescent proteins in the stem of a thale cress seedling (Arabidopsis thaliana). Fluorescent proteins were used to stain genes. So when a specific color appeared, the scientists were able to identify the gene which expressed itself during growth of the seedling. 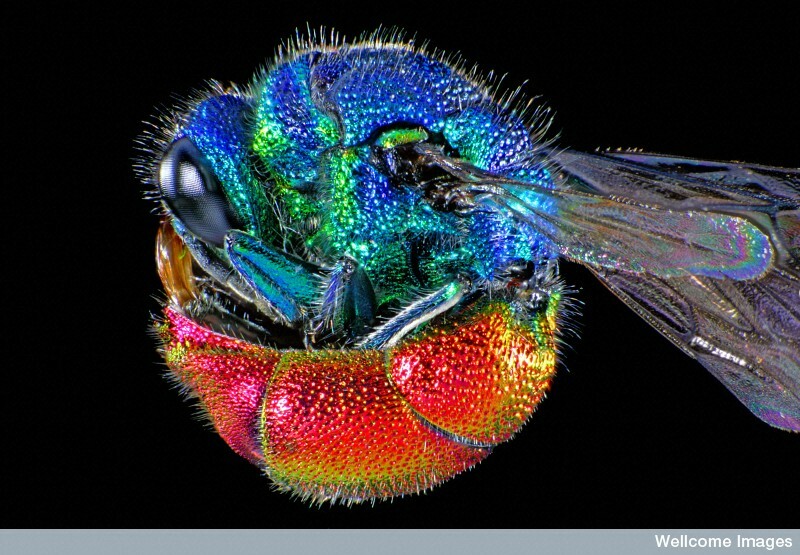 This photomicrograph shows an adult ruby-tailed wasp curled into a ball. 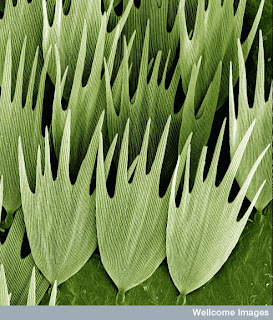 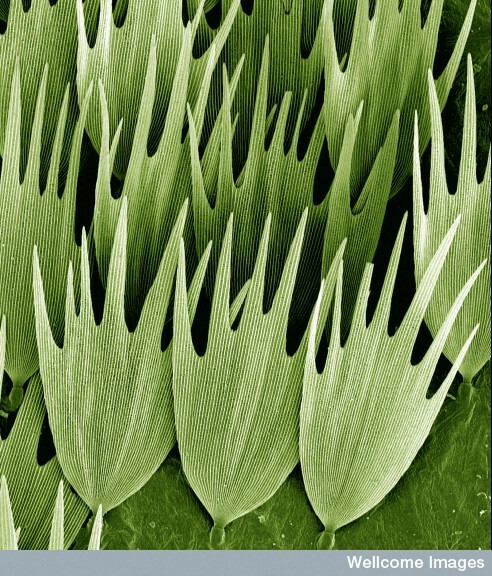 Scanning electron micrograph (SEM) of the scales on the wing of a Madagascan moon moth. 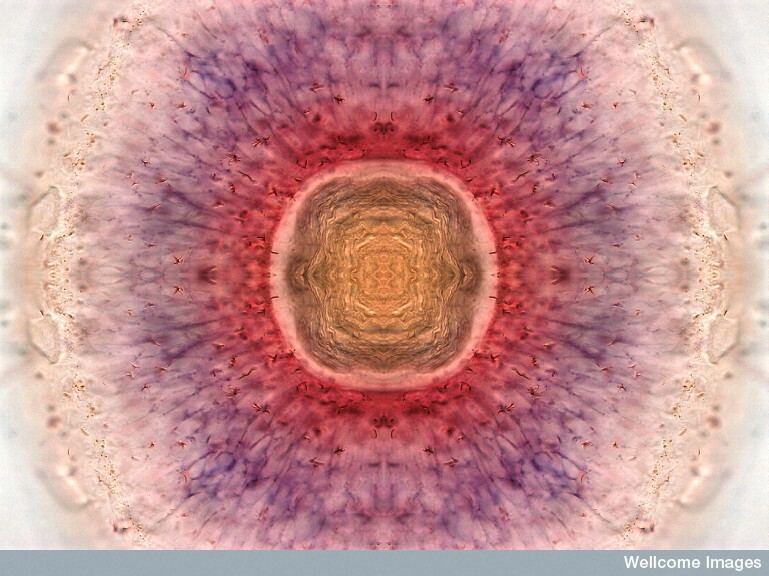 A photomicrograph showing the retina of a 3 day old zebra fish. 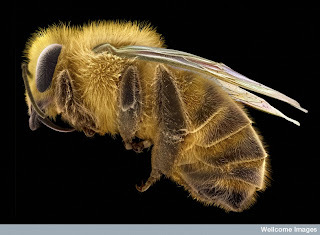 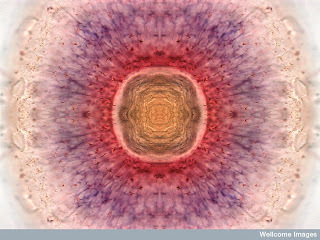 More details & pictures can be found at Wellcome Images Library.